The grave of the Torah scholar Nehama Leibowitz bearing one word: morah (teacher). A woman who gained accomplished rabbis as her students, Leibowitz is considered among the great Torah scholars of the 20th century. The simple, one-word epitaph on her gravestone – morah (teacher) — belies the impressive achievements of Nehama Leibowitz (1905-1997), but also speaks volumes about her outstanding personal qualities and her humble self-perception. 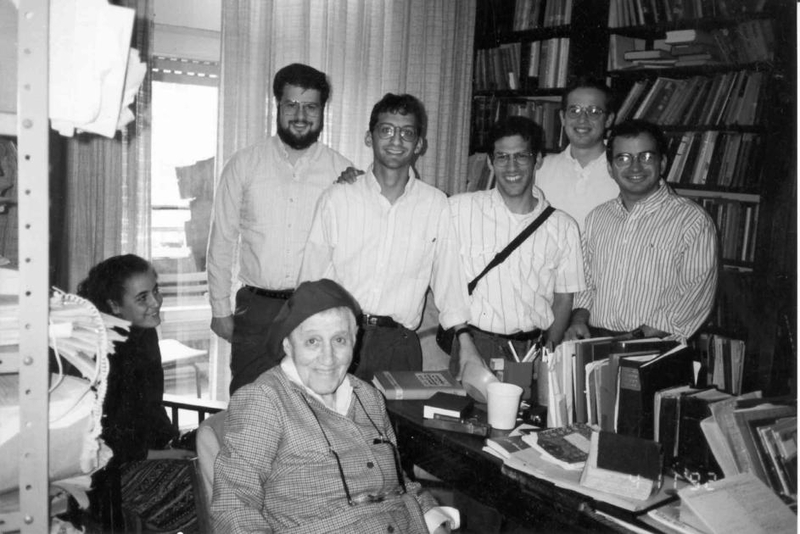 Leibowitz is considered one of the great Torah scholars of the 20th century, best known for her five-volume series on the weekly Torah portion that she began publishing in Hebrew in 1971 and in English in 1976. The series now appears in six languages and is still widely circulated, over 40 years after its original publication — a significant feat in modern Jewish publishing. Leibowitz’s scholarship is characterized by its honest insights into the biblical text and its commentaries based on a sharp analysis of grammar, philology, and literary style. She was perhaps best known for her use of comparative textual study to uncover deeper meanings in the text. In comparing the two, Leibowitz draws out the radically different view these prophets had of repentance and forgiveness. Moses had a positive view of a God who was kind enough to forgive iniquity, while Jonah viewed it as a negative – “forgiving evil.” Jonah also poignantly omits one word from the initial description of God – truth — suggesting that, in his view, truth demands strict justice in which people pay for the evil that they perpetrate, even if they repent. Through this textual comparison, Leibowitz not only arrived at an innovative understanding of Jonah, but also suggested that although Moses’ perspective has become the traditional Jewish view of repentance, it should not be taken for granted. The foundations of Leibowitz’s approach were forged during her years studying and teaching in Germany. Born in Riga, Latvia, Leibowitz moved with her family to Berlin in 1919 and received her doctorate in 1930 from the University of Marburg. She was influenced by the Progressive Education Movement, which promoted student-centered, active learning, and became an advocate for the Ivrit B’Ivrit (Hebrew in Hebrew) approach in Jewish education, which promoted the study of biblical texts without translation into the vernacular. After moving to Palestine in 1930, Leibowitz embarked on a teaching career in which she traversed the country teaching Torah in a variety of contexts to students of different ages and religious ideologies. 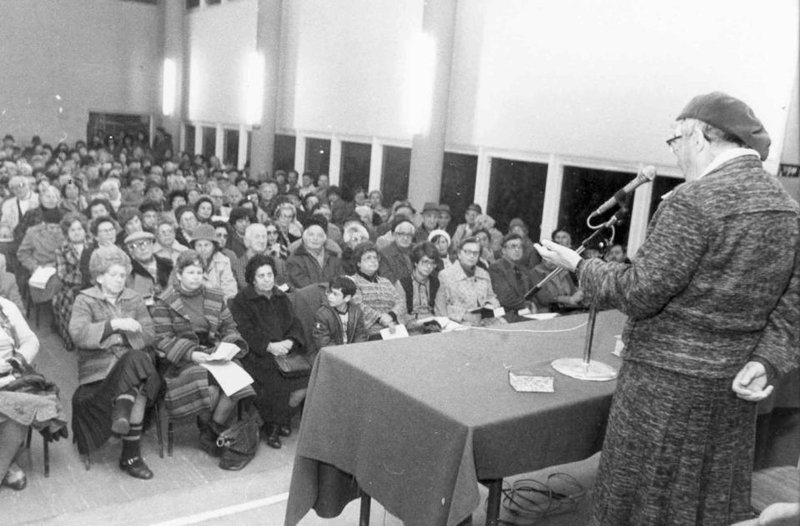 She subsequently began providing professional development seminars for teachers, and ultimately became a lecturer at both Hebrew University and Tel Aviv University, where she served as a professor of Bible from 1968 until 1972. Although she was viewed by many as an important Bible scholar, Leibowitz preferred to see herself primarily as a teacher of Torah. Her goal was not to transmit her own insights to her students, but rather to empower them to generate their own by independently analyzing the biblical texts, comparing parallel commentaries and at times assessing which commentary seemed in their eyes to best reflect the intent of the text. Her greatest literary creation in her own eyes were the Gilyonot, the study sheets on the Torah portion of the week that she created weekly for 30 years beginning in 1942. The Gilyonot, which Leibowitz circulated by mail, asked a series of questions about the biblical text and its commentaries. Students would complete them and return them to her by mail. The circulation of the Gilyonot eventually reached 3,000. Years before the advent of the internet, Leibowitz was already a precursor of distance learning. The Gilyonot reflected Nechama’s pedagogical approach. She believed that the primary goal of Torah education is to create a love of Torah study, which could be done by actively engaging students in open-ended questions that require higher level thinking. She opposed giving over information in lectures or biasing student opinions through introductions or summaries of the texts being studied. Similarly, her advocacy of Ivrit B’Ivrit instruction was largely to prevent students from being biased by the interpretations inherent in translations. Leibowitz was also an ardent Zionist. After moving to Israel, she never left, even refusing short-term invitations to teach in other countries. She was also not an advocate of feminism, even though her scholarship established a model of sophisticated Torah study for women and became a catalyst for women to pursue academic careers in classical Jewish text study. She was Orthodox in practice and thought, yet she ardently defended two practices that raised eyebrows in some Orthodox circles – asking students to assess which commentary seemed most accurate to them, and citing non-Orthodox commentators. Student autonomy and the search for truth were not antithetical to Orthodoxy in her opinion. Leibowitz could count among her students some very accomplished rabbis and educators, but she rarely spoke of them. Rather, she loved to tell stories about common people who studied with her, such as a waitress from Ashkelon who regularly completed the Gilyonot. Leibowitz’s humility enabled her to be the great teacher that she was, respecting and valuing the opinions and autonomy of her students. It also defined the honesty of her Torah scholarship. She came to learn Torah from the great commentators – to hear them speak and give expression to their ideas, not to use them as a platform to express her own ideas. She would likely be both surprised and pleased that her works are still studied, and astounded that her Gilyonot and teacher’s guides now appear on the internet. Leibowitz left a tremendous legacy in both biblical scholarship and Torah education. She returned the classical commentators to a prominent place in the Jewish educational curriculum and trained generations of teachers in progressive methods of Torah instruction.